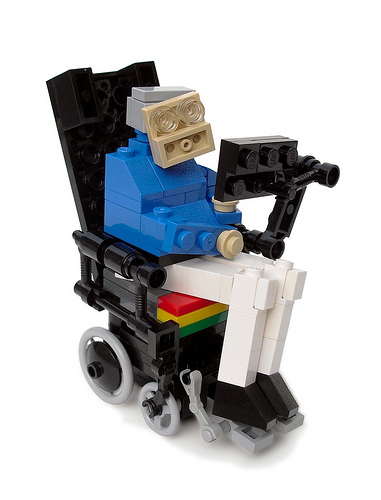 My little LEGO model of scientist Stephen Hawking just turned 10 years old, which led me to reflect upon the history of this peculiar creation and the path that my life took as a result of creating it. And to mark the occasion, last week I took this LEGO version of the Professor on a special trip to follow in his namesake’s footsteps! Ten years ago I was just beginning to experiment with building my own creations (or “MOCs” as we LEGO fans like to call them). I had a limited bricks, limited experience, limited skill, and no real direction. Then Stephen Hawking announced his plans to experience zero gravity aboard the infamous Vomet Comet airplane, which inspired me to model him as a “miniland” scale LEGO figure. 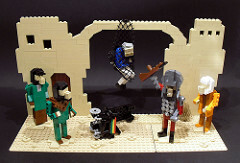 I was pleased with the result, and having it featured here on The Brothers Brick was a pleasant surprise. 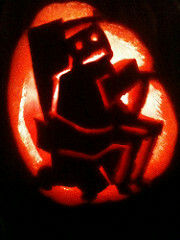 But an even bigger surprise came when the creation was picked up by pop culture websites and went “viral”. It was at that moment that I had my LEGO epiphany… Firstly, that characters seemed like an under-exploited genre of LEGO building, one that seemed like a more interesting challenge to me than say vehicles or buildings. 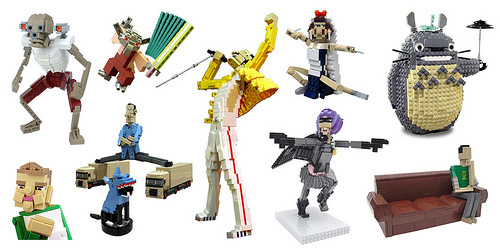 Secondly, that there was a much larger audience – beyond the core fan community – for LEGO creations based on pop culture. Thus began my decade long journey as an Adult Fan of LEGO (or “AFOL”), focused on recreating people and moments from all forms of pop culture. In that time I’ve covered everything from movies, TV shows, YouTubers, anime, music, memes, politics, video games and sports – with a certain amount of celebrity mockery along the way. 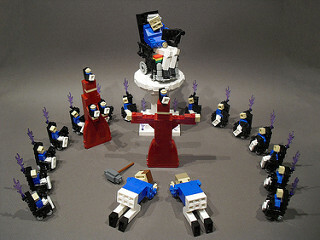 While many of these builds received their fair share of media attention, the image of LEGO Stephen Hawking seems to have endured beyond all others. To this day, people are still discovering and sharing it on a daily basis. The creation has also popped up in some unlikely places, including a British quiz show, Ryanair in-flight magazine, German scientific journal, Spanish lifestyle magazine, and even inspired a jack-o-lantern. I’ve also had fun putting the model into new settings, such as when he dressed as Doctor Horrible for Halloween, got captured on the Planet of the Apes, and became a cult leader. 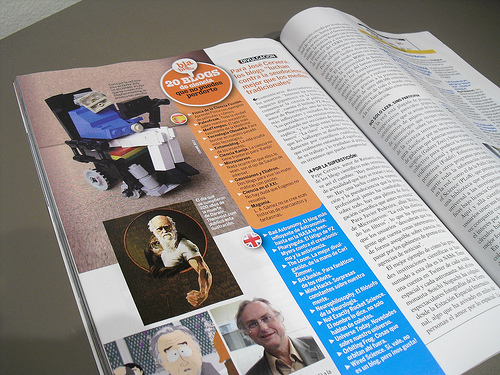 Five years ago I did a complete redesign of the model and produced a limited edition of 100 copies. Suffice to say, they sold out quickly! As to what lies in store for LEGO Stephen Hawking in his second decade, who knows. This week his real life counterpart has announced plans to go into space, but I have a feeling that might be beyond my budget …and sense of self preservation! But maybe the best way for his adventures to continue would be to get more copies floating around (see what I did there?!). 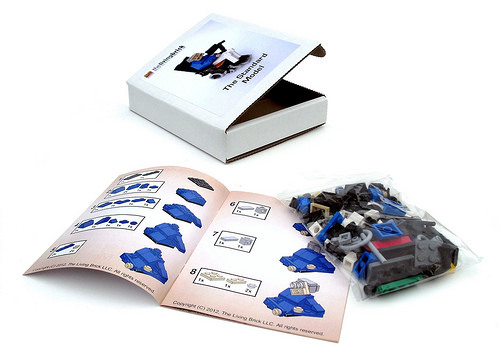 To that end, we will be posting building instructions for this model next week, right here on The Brothers Brick. Monetise and donate the proceeds to charity. I purchased this model the minute I saw it years ago. Haven’t built it yet though. Happy to find this article on BB.